This Apartment Referral Terms and Conditions Master Agreement (“Agreement”) is by and between ESA Management, LLC, located at 11525 N. Community House Road, Suite 100, Charlotte, NC 28277 (hereinafter “ESA”) and the company listed in the “company name” field in the Apartment Referral registration form (hereinafter “Applicant” or “Referring Company”). “Applicant” means the company listed in the “company name” field in the Apartment Referral registration form who wishes to partake in the Referral Approval Process, as described in Section 3, in hopes of being approved as a Referring Company. “Consumed Sale” means the time at which all of the following are satisfied: a Referee booked, occupied, and checked out of a room at an applicable hotel under the terms of this Agreement and the Referee timely pays the room rate to the Hotel for the occupation of the room. 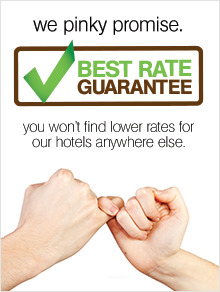 “Participating Hotel” means each “Extended Stay America” hotel who opts to participate in this Agreement. Participating Hotel(s) may be modified from time to time in ESA’s sole discretion. “Original Booking Length” means the length of stay reserved as of the date of check-in for that particular reservation. It does not include any extensions of the booking or reservation by the Referee after the Referee has commenced his/her stay with a Participating Hotel. For example, if the Referee requests an additional three nights after checking into the Participating Hotel for a seven-night stay, the Original Booking Length is only seven nights. Commissions can only be earned on Original Booking Length. “Platform” means the ESA website and interface on which the Referring Company enters in the Referee email and can view the Referee’s booking and check-out status at a Participating Hotel and earned commissions. “Referring Company” means the Applicant who has been accepted by ESA into this Agreement, has received a Program Acceptance Email and thus been approved under Section 3 of this Agreement, and who shall receive a Commission, based solely on the Original Booking Length Consumed Sale of the Referee that the Referring Company referred. “Referee” means the person who was referred to ESA (as outlined under “Referral Terms”) by the Referring Company. “Referee Data” means any nonpublic personal information of Referees or prospective Referees including, but not limited to, an individual’s name, address, e-mail address and telephone number. 2. Terms of the Agreement. This Agreement will commence upon ESA’s deployment of the Program Acceptance Email, as defined in Section 3, to the Referring Company, and shall continue to be in effect indefinitely, unless terminated by either party as outlined below. 2.2.1 ESA has the right to terminate this Agreement at any time and for any reason by providing such written notice by way of email, to the email address listed in the Referring Company’s account. Termination of this Agreement shall be effective immediately upon notice by ESA. 2.2.2 The Referring Company may terminate the Agreement with seven (7) days’ written notice to apartmentreferral@esa.com. 2.2.3 In the event of termination by either party, no pending leads or current in-process Consumed Sales will be processed for any commission payment. 3.1 Required Information. Applicant must provide to apartmentreferral@esa.com all information requested by ESA, which will include, without limitation, the following information: community name, copy of Applicant’s W-9, billing detail, community address, email address and community phone number, before ESA will begin the review process to approve the Applicant as a Referring Company. 3.2 ESA Review Process. Following receipt of all the Applicant’s required information, and, in ESA’s sole discretion, ESA will make a determination as to whether or not the Applicant is approved as a Referring Company. This process typically takes seven (7) to ten (10) business days once all information requested by ESA has been received, as identified in Subsection 3.1 above. 3.2.1 If approved as a Referring Company, in ESA’s sole discretion, ESA will process the Referring Company as a new vendor, and the Referring Company will receive ESA’s “Program Acceptance Email” stating acceptance of Applicant as a Referring Company. 3.2.2 If denied, ESA will call or email to notify Applicant of the denial. ESA has the right to deny program admittance to any applicant for any reason or no reason. 4.1.1 After the Referring Company has received its “Program Acceptance Email”, the Referring Company must login to https://apartments.extendedstayamerica.com/ (the “Webpage”) to begin referring Referees. When logging into the Webpage for the first time, and each subsequent time, ESA has the right to deny program admittance to any Referring Company for any reason. To send information to ESA, the Referring Company must use the email address provided to ESA in Subsection 3.1. 4.1.2 After the Referring Company has logged into the Webpage, Referring Company enters a valid Referee email address into the appropriate designated box and, in so doing, Referring Company represents and warrants to ESA that it has obtained all authorizations and consents from Referee (as may be required by applicable law) to provide said information. After the Referring Company submits a valid Referee email address on the webpage, the Referee will receive a “Referral Email” (defined below) from ESA to Referee. Subject to the provisions of this Agreement, the Referring Company may make an unlimited number of referrals. 4.1.3 A “Referral Email” is sent by ESA to Referee and contains a “Unique Tracking Link” (as defined below) to connect the identity of the Referring Company to the Referee, for Commission purposes, along with various images and marketing material for the Referee to review. Up to two Referee Emails may be sent to each Referee for each instance of a Referring Company’s email submission. 4.1.4 The “Unique Tracking Link” allows ESA to track the reservations a Referee makes with its Referring Company, and thus provides Referring Company to be eligible to receive a Commission. Referee must click on the embedded Unique Tracking Link in the Referral Email and start and complete the reservation with ESA, thereby engaging the Unique Tracking Link in order for the Referring Company to be eligible to receive a Commission. The Unique Tracking Link is valid for the duration of the Agreement. The Unique Tracking Link can be used by Referee to book an unlimited number of stays, and the Referring Company will qualify for commissions on each Consumed Stay as long as such stays are actualized within the Term of the Agreement. Such stays are subject to the terms and conditions of the promotion contained in the initial Referral Email. 5. Requirements in order for Referring Company to receive a Commission. 5.1.7 Referee’s stay meets the requirements of a Consumed Sale. 6. Tracking and Reporting of Referee Consumed Stays Sales/Original Booking Length. 6.1 ESA will track valid Referee bookings and Consumed Sales. 6.2 The Referring Company will be able to track its submitted referrals and corresponding earned Commission by logging onto the Website and clicking on the dashboard feature. The dashboard feature will list the email addresses provided by the Referring Company, whether the Referee completed the booking process, if a Consumed Sale has occurred, and corresponding commissions earned. 7.1 Commission Calculation. The Commission for all bookings meeting the requirements of Subsection 5.1 is equal to 2% of the Consumed Sale (unless otherwise agreed upon in writing by ESA and Referring Company), excluding taxes, fees, ancillary charges, pet fees, and any and all sums related to any extensions of the Original Booking Length. 7.2 Payment schedule. ESA will facilitate payment of the Commission for the Participating Hotel to the Referring Company once a month via check. All the Referring Company’s Commissions for the prior 30 days will be consolidated into one check. The check will be mailed within thirty (30) days of the month following the month of the applicable Consumed Sale for which a Commission is earned. 7.3 Payment Recipient. The check will be addressed to the name provided in the “company name” field under Subsection 3.1 of this Agreement provided during the approval process, and mailed to the address provided in the “company address” field under Subsection 3.1 of this Agreement provided during the application process. 7.4 ESA reserves the right to deny payment to Referring Company for any applicable Consumed Sale that does not meet the referral terms or is not otherwise eligible for a Commission, or in the event of suspected fraudulent activity by either the Referring Company or the Referee. 8.1 During the term of the Agreement, the Referring Company may not partner with any other Hotelier (defined below) on similar referral programs (including, but not limited to, receiving commissions or any form of payment from a Hotelier for referring business to said Hotelier). For the purpose of this Agreement, “Hotelier” is defined as any lodging business but excluding apartment communities. 8.2 If the Referring Company partners, contracts or otherwise participates with another Hotelier in breach of Section 8.1 above, then the Referring Company shall (i) return to ESA fifty percent (50%) of all Commissions paid under this Agreement and (ii) pay ESA five thousand dollars ($5,000) as a liquidated damages fee, both by check to ESA within ten (10) days after the Referring Company receives ESA’s written notice of the breach. The parties agree that the five thousand dollars ($5,000) set forth herein shall be liquidated damages, and not a penalty. 9.1 Trademarks. Each party shall submit to the other party, for its prior written approval, any marketing, advertising, or promotional materials, referencing the other party and/or its trade names, logos, slogans, trademarks, and service marks that identify the party to the public (collectively, the “Marks”), provided however that ESA may use Referring Company’s Marks in accordance with Section 9.2 without prior written approval. 9.2.1 During the term of this Agreement, the Referring Company hereby grants ESA a limited, revocable, non-exclusive license to use the Marks in and on ESA’s Platform, producing the Referral Email, and for promotional purposes without the Referring Company’s prior approval. ESA shall take no action or position inconsistent with the Referring Company’s ownership and the enforceability of the Referring Company’s trademarks. 9.2.2 At no time shall the Referring Company use ESA’s Marks without obtaining advance written approval from ESA. 9.3 Distribution Partner Guidelines. The Distribution Partner Guidelines are attached as Exhibit A. 9.4 Confidentiality. The Applicant or Referring Company shall not disclose or cause to be disclosed to any non-party to this Agreement, any Confidential Information of the other party. “Confidential Information” includes all oral or written information which relates to ESA’s or a Participating Hotel’s research, development, trade secrets, finances, products, pricing, Commissions, customer/guest data, employees, business affairs or candidate information, but does not include: (a) information that becomes generally available to the public other than as a result of a disclosure by either party or any of its directors, officers, agents or representatives; (b) information that was obtained or previously obtained on a non-confidential basis from a third party that is not prohibited from disclosing such information by a legal, contractual, or fiduciary duty to ESA or the Referring Company; (c) information that was rightfully known to or already in the possession of the receiving party prior to disclosure; (d) information that was independently developed by the receiving party or any of its employees without references to or use of the disclosing party’s Confidential Information; or (e) information that is explicitly authorized for release by the disclosing party. Referrer shall take all necessary and appropriate measures to ensure that its personnel, employees, and agents abide by the terms of this section. 9.4 Representations and Warranties. Each party represents and warrants that it has full authority to enter into this Agreement. The Referring Company also represents and warrants that is has obtained full and complete informed consent from each Referee to share the Referee’s email address with ESA before the Referring Company submits the email address on the Webpage. 9.5 Choice of Law. This Agreement shall be governed by the laws of the State of North Carolina without regard to its conflict of laws provisions. 9.5.1 Dispute Resolution. The Parties agree that any and all disputes, claims or controversies arising out of or related to this Agreement, including any claims under any statute or regulation (“Disputes”), may be first submitted to mediation at ESA’s sole option and with advance notice to Referring Company. Any mediation shall take place in the State of North Carolina, Mecklenburg County, and shall be administered by the American Arbitration Association. Each party will bear its own mediation costs, and the auto club and mediator costs will be equally shared. 9.5.2 Legal Proceedings. If ESA does not choose mediation, or if mediation is unsuccessful, a lawsuit may be initiated either in Mecklenburg County, North Carolina, or in the location of the Participating Hotel, the venue of such legal proceeding shall be at ESA’s sole option. The parties agree that actions, proceedings, or litigation relating to the performance of services under this Agreement will be instituted and prosecuted solely within the State of North Carolina and each party hereto irrevocably consents to the exclusive jurisdiction of the state located within Mecklenburg County, North Carolina, or the federal courts of the Western District of North Carolina. 9.6 No Fraud. The Referring Company agrees to maintain business ethics standards aimed at avoiding any impropriety or conflict of interest which could be construe to have an adverse impact on the dealings with ESA or any Participating Hotel. The Referring Company shall take reasonable actions to prevent any actions or conditions which could result in a conflict with ESA’s or any Participating Hotel’s best interests. These obligations shall apply to the activities of its contractors, employees, agents, subcontractors, and include a prohibition against the Referring Company making or providing any employment, gifts, extravagant entertainment, payment, loans, free work, substantially discounted work, or other considerations to ESA or its representatives, employees or their relatives. 9.7 Indemnification. The Referring Company shall defend, indemnify, protect, release and hold harmless ESA, each Participating Hotel, and their respective directors, officers, employees, and assigns (collectively, the “Indemnitees”) from and against any and all claims, costs, injuries, damages, demands, suits, actions, proceedings, fees, fines, charges, judgments, penalties, liabilities, losses and expenses, arising from or in connection with (i) any breach of this Agreement by the Referring Company; or (ii) the negligence or willful misconduct of the Referring Company or its personnel. 9.8 Independent Contractor. The Referring Company and all of its authorized representatives or subcontractors are not employees of ESA or any Participating Hotel, but are independent contractors. No employees of the Referring Company or its authorized representatives or subcontractors will be within the protection or coverage of ESA’s or any Participating Hotel’s worker’s compensation insurance and no Social Security, Federal or State income tax or other deductions shall be made from the sums agreed to be paid to Referrer herein, the same being contract payment and not wages. 9.9 Assignment. ESA may assign its rights, duties, and obligations, in whole or in part, under this Agreement to any parent, affiliate or subsidiary or upon any merger, sale, or transfer of all or substantially all of it stock or assets. The Referring Company cannot assign this Agreement without ESA’s prior written consent, which consent can be withheld in its sole discretion. 9.10 Referee List. The Referring Company cannot sell or otherwise share with any third party any Referee Data. 9.11 Insurance. During the Term of this Agreement, the Referring Company shall obtain and maintain in effect Comprehensive General Liability for an inclusive limit of not less than one million dollars ($1,000,000) per occurrence, two million dollars ($2,000,000) aggregate, for all claims arising out of its obligations under this Agreement. 9.12 Entire Agreement. This Agreement supersedes any and all prior agreements on the subject matter hereof, constitutes the entire agreement of the parties on such specific subject matters, and may not be changed, modified, discharged or extended except by the written agreement of both parties. Should any part of this Agreement be judged void or unenforceable the remaining parts of this Agreement will remain intact and enforceable. IN WITNESS WHEREOF, the parties hereto have caused this Agreement to be executed once Referral Company electronically submits its application in lieu of a written signature. By clicking on the submit box, Referral Company accepts all terms and conditions herein, and as may be amended by ESA from time to time. Any such amendments shall be reflected at www.extendedstayamerica.com/ApartmentReferralTerms, and incorporated into this Agreement, and shall be automatically accepted by Referral Company unless Referral Company expressly terminates the Agreement pursuant to the Termination provision in Section 2.2 above. A. Distribution Partner and its Affiliates agree that they will not bid on, purchase or otherwise acquire rights to any ESA Management LLC or Extended Stay Hotels (ESH) brand name, keywords, hotel names and/or permutations thereof (see attached list). Distribution Partner acknowledges that ESH considers such actions to constitute a copyright violation and ESH reserves the right to terminate this agreement immediately in such circumstance, it being understood that these actions include any display advertising on same. B. Distribution Partner agrees not to engage in any marketing to ESH hotels or other properties or ESH customers, such as pop under/over ads to users of ESH’s website or any user of the internet who is specifically searching for ESH or any of ESH’s hotels or other properties. C. Cyber-squatting: Distribution Partner agrees not to register any domain names which might be construed by the user as belonging to, or associated with, ESH and any of its Affiliates, nor will they supply inventory through any affiliate network to any persons operating a domain or URL of same. Should ESH determine that any non-approved URL or portal is gaining access to ESH room inventory through Distribution Partner’s system, Distribution Partner will immediately, at ESH’s request, assist ESH in the cease and desist process. D. Distribution Partner will not onwardly distribute ESH’s inventory to a meta-search engine, private sale, or newsletter service that ESH has a marketing agreement with. A “meta-search engine” is defined as a search engine that queries other search engines and then combines the results that are received from all of the searched search engines. E. Distribution Partner agrees to monitor the activity of its Affiliates, customers, vendors or suppliers (or other similar entities with which Distribution Partner conducts business) insuring that they are conducting business in a manner which is consistent with general accepted business practices and Distribution Partner’s affiliate code of conduct. Distribution Partner agrees to discontinue its association with Affiliates, customers, vendors or suppliers (or other similar entities with which Distribution Partner conducts business) that engage in predatory behavior, including, without limitation, bidding on ESH keywords or misrepresenting their relationship with ESH. Distribution Partner agrees to use commercially reasonable efforts to ensure its Affiliates do not purchase ESH trademarks and keywords in connection with paid online search. Further, Distribution Partner shall not use the Accommodation’s trademarks in any “scumware”, “spyware”, or search word preference or any other service that results in the non-owning Party being referenced in regard to internet searches for such trademarks or that attracts internet users to its web sites, call centers or other services. F. ESH hereby grants to Distribution Partner and its Affiliates a limited, nontransferable, nonexclusive, license to use the trademarks, service marks, logos, and trade names of ESH’s hotels only (collectively, the “Marks”) solely for the purpose of promoting such hotels through Distribution Partner’s sites. ESH hereby represents and warrants that it has the full and exclusive right to grant or otherwise permit Distribution Partner and its Affiliates to use the Marks as set forth in this Agreement, and that they are aware of no conflicting third party rights. Except as set forth in this Agreement, the right to license and use the Marks shall remain exclusively with ESH and the applicable hotel, and neither Distribution Partner nor its Affiliates shall have any right to grant sublicenses. Distribution Partner and its Affiliates shall use the Marks in conformance with any ESH or hotel trademark and logo usage guidelines that ESH or any hotel may provide to Distribution Partner or its Affiliates in writing from time to time, which may be changed in ESH’s sole discretion. Other than the rights specifically granted herein, no right, title or interest in the Marks is transferred to Distribution Partner or its Affiliates. Neither Distribution Partner nor its Affiliates shall take any action inconsistent with ESH’s ownership of its Marks, and any benefits accruing from use of such Marks shall automatically vest in ESH. Neither Distribution Partner nor its Affiliates shall form any combination marks with the Marks. Any use of ESH’s Marks in promotional material or other public announcements shall require ESH’s written approval. G. ESH hereby grants to Distribution Partner and its Affiliates a limited, nontransferable, nonexclusive license to use the images and copyrights (including photographs) of ESH’s hotels provided by ESH or any hotel (collectively, the “Images”) solely for the purpose of promoting ESH’s hotels through any of Distribution Partner’s sites. Any additional advertising or marketing to be performed for ESH or any of the hotels shall be governed by ESH’s then-standard marketing terms and conditions, which shall be changed from time to time in ESH’s sole discretion. ESH hereby represents and warrants that it has the full and exclusive right to grant or otherwise permit Distribution Partner and its Affiliates to use the Images as set forth in this Agreement, and that they are aware of no conflicting third party rights. Except as set forth in this Agreement, the right to license and use the Image shall remain exclusively with ESH and the applicable hotel, and neither Distribution Partner nor its Affiliates shall have any right to grant sublicenses. Any use of ESH’s Images in promotional material or other public announcements shall require ESH’s approval. In the event that ESH notifies Distribution Partner of any incorrect usage of its Marks or Images, Distribution Partner shall promptly correct such incorrect usage as directed. Distribution Partner shall not do nor suffer to be done any act or thing that will adversely affect ESH’s rights in its Marks or Images, or that directly or indirectly may reduce the value of such Marks or Images or detract from their reputation. Upon the expiration or termination of this Agreement, Distribution Partner will cease using the Marks or Images of ESH except as the parties may agree in writing or to the extent permitted by applicable law. H. Distribution Partner is responsible for payment of all applicable taxes on or relating to their commissions, mark-ups, fees or other compensation relating to the rooms sold. ESA Management LLC Trademarks and Branded Keyword Terms – Including, but not limited to any Extended Stay Hotels trademark or branded keyword term, or any variation of these terms, including, but not limited to those listed below. Any misspellings or our name or any combination of a destination plus a Brand such as “Cocoa Beach + Extended Stay Hotels” are also prohibited. A ROOM. A KITCHEN. A REASONABLE PRICE. YOU GO THE DISTANCE. WE DO THE SAME. LEAVE A KEY. HELP SAVE A LIFE.